this program is a gem! Absolutely awesome! Used to use it on Windows 10 and it worked like a charm, made Win10 experience a lot better and smoother. I hated the windows 10 however so went back to Win7 and now I'm using Classic Shell in win7 too I love the ability of customisation etc etc. Great! Thanks for the program! Really Happy to Here! What I don't understand is why a highly talented group of programmers haven't been hired to program an operating system that actually is stable & just works so we computer users can get on with the items we want to do rather than worrying if our computers will keep working. A great job of providing something that keeps on working through whatever Microsoft throws at it. Thanks. Thank you for Classic Start Menu! Thank you for Classic Shell! 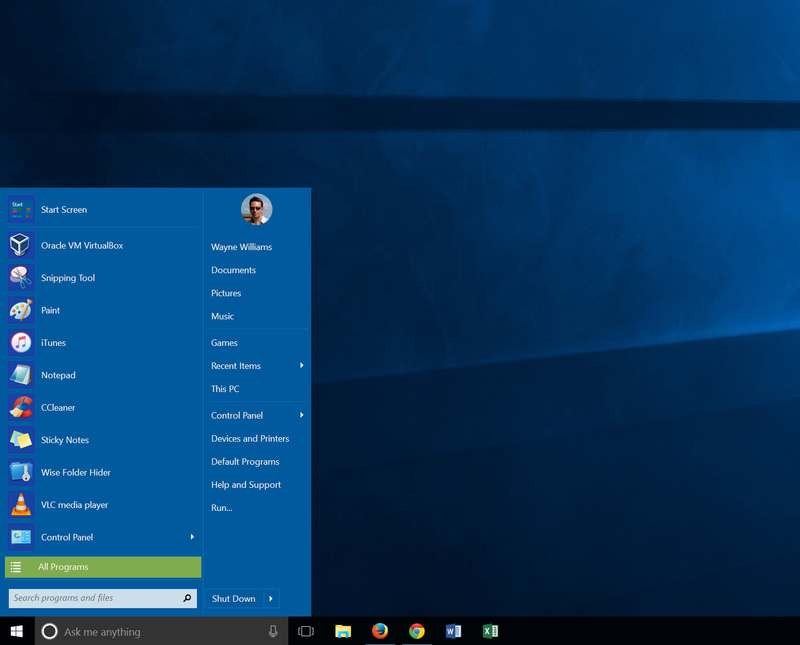 This is the most awesome fix for the horrible Windows 10 start menu. I donated and I hope others do as well. [b]Thanks. 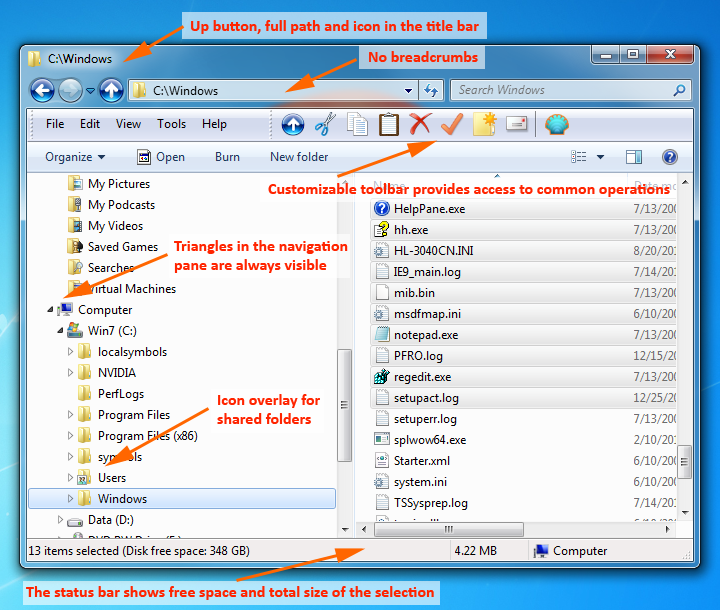 [/b] What a great useful utility in a world full bloated crap software. Thank you so much for this program! Now my OS is perfect! I can't thank you enough for what you've done for us with Classic Shell and Classic Start Menu. When Windows came out with 8/8.1 and their awful idea to replace the Start Menu with a child-like bunch of disorganized, oversized color blocks known as buttons, I was pretty much in shock. I thought, "Excuse me, Microsoft, but our computers are NOT just oversized phones!" Nothing made any sense and it was taking me an inordinate amount of time trying to locate anything I used with any amount of frequency. I wanted my Start Menu back, darn it, and I would have paid to get it back! TL;DR Get it right now if you hate Windows 10's start menu/screen or Windows 8's start menu. Classic Shell brings back the familiar Windows 7 start menu. Eventually, you forget about it because the start menu it adds is so familiar. It gives a decent ver- wait, I don't need to describe it! It's the Information Age, I can just link pictures: click me! And if you don't like the style of that, you can change the style! You can also reskin it! 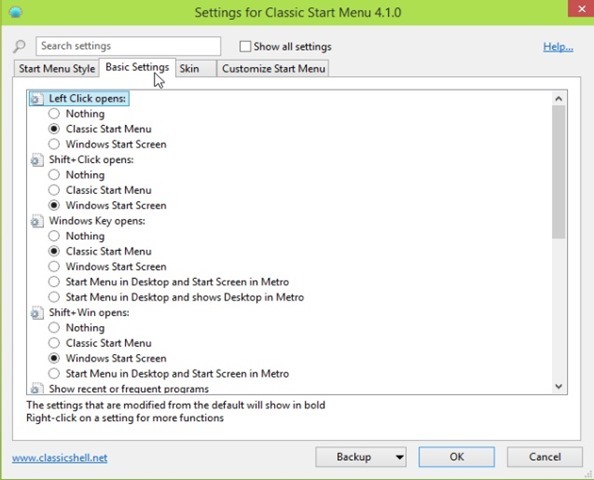 Also, you can change how to open classic menu or normal menu! Also, all features are optional and can be turned on or off at will. I've been using classic shell for years on windows 8 (now 8.1), and more recently on windows 10. This program is what makes the newer windows operating systems usable. Microsoft should be ashamed. I know I just griped about some Group Policy nitpicks in a thread I started, but this is seriously a fantastic piece of software. Our lab computers in our University have never looked so slick. And the fact that using Group Policy is even an option(!!!!!). Incredible. Most importantly, however, all shortcuts in C:\ProgramData\Microsoft\Windows\Start Menu are showing up. I can NOT believe that the idiots at Microsh*t have still not configured their start menus to display all program shortcuts in their start menu. (At least on 10 LTSB 2016). After working with Windows 10 regularly for a couple years now, I can say that Microsoft's Windows 10 start menu is fragile and buggy as heck. What an effing joke. This saved my hiney, looks natural and slick, and I'm looking forward to the compliments on the choice to use it from my boss & co-workers. Thank you very much for this useful program. Fantastic piece of work, not only better than the new Windows start menus but better than the old ones. The more I use it the faster it gets as I can customise it to show exactly what I want it to. It's even got me navigating the menu with just the keyboard which I never would have thought of even back in the Windows 95 days. Lightweight, fast, customisable and slickly integrated, what more do you need? Donated with thanks. I also used a program called "Old New Explorer" that brought back many things that were pre 8 Like the details pane being at the bottom and replacing the ribbon with the action bar from 7 and vista, among other features. I recommend using that. I wonder if it also fixes other things wrong with windows 10. like random minimizing. Post subject: A big thank you! I just wanted to say a big thank you to the Classic Shell team. I was forced to upgrade from Windows 7 to 10 due to Win7 not directly supporting the new Ryzen processor I now use. I didn't really like the new Win10 tile interface and was ecstatic to find Classic Shell and the fact to worked so well. With add-on themes from the forum (Full Glass Vistalike RevB), I was able to change the start button and menus easily. Looks great! Having a link at the top to go back to the original Win10 interface (the "Start Menu (Windows)" link is a great just-in-case measure. This is an awesome utility. I'll be donating right after this post. Thank you so much! Your software is absolutely amazing! Now with the ability to skin the taskbar, you have perfected Classic Shell! AMAZING!! The Classic Shell can be customized for almost any corner of the beginning with a single (and even adjust resource management and IE browser) much deeper than the system itself (can also search for settings), especially to support Simplified Chinese, Very easy to use. 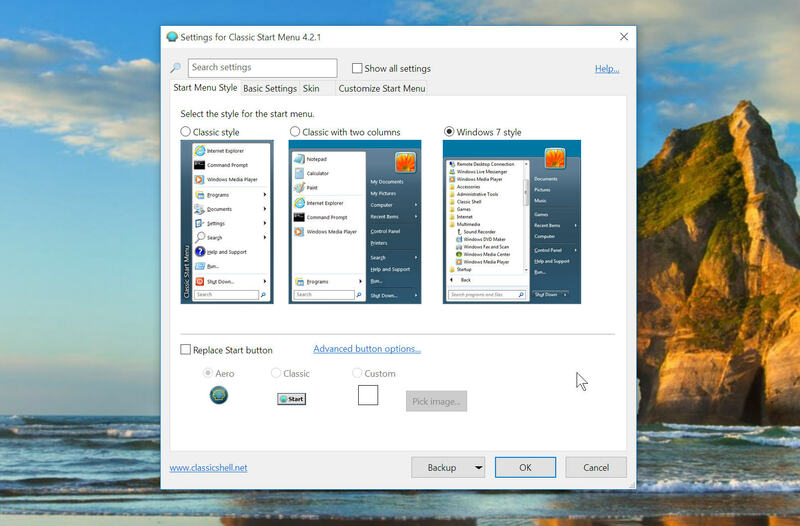 It provides three different nostalgic styles, such as Windows XP classic style, Windows Vista classic two-column style, Windows 7 two-tier evolution style, but also can replace your favorite "Start" button patterns. 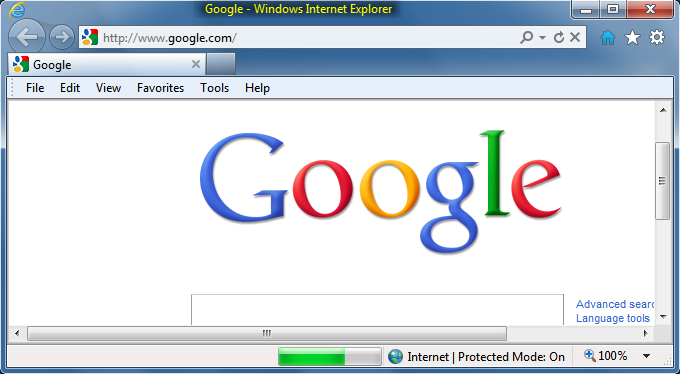 The Classic Shell can be customized for almost any corner of the beginning with a single (and even adjust resource management and IE browser) much deeper than the system itself (can also search for settings), especially to support Simplified Chinese, Very easy to use - it saves the translation efforts. It provides three different nostalgic styles, such as Windows XP classic style, Windows Vista classic two-column style, Windows 7 two-tier evolution style, but also can replace your favorite "Start" button patterns. Yes I also love the Simplified Chinese support part! Localization and Language compatibility is always important for a product with international users. This program is and always will be a great Start Menu Replacement for Windows Systems, I hope rob55rod manages to fill the hole the loss of Classic Shell will create, and Classic Shell will be dearly missed. Thank you for everything, Ivo and co.
One would think with responses as great as this, M$ would get it; stop making their O/S look like a toy idiot phone full of teenage icons. The thing is, for many windows 10 start menu is actually nice, because they are accustomed to android on the phone, its an easy transition. and those who arent are more likely to be tech literate (and thus hooked on the old ways) and can solve the issue..
We don't live without Classic Shell anymore. A great set of features, and it even has PolicyDefinitions.zip on its folder with all needed admx files for Group Policy deployment on domain environments. A must! Huge thanks and please keep up your outstanding work! Happiness to all, forever more. Post subject: There are computers NOT toy phones! If it wasn't for Classic Shell, I would still be using XP (or at least trying to).